Perfect for layering in cold weather. 55% Airlume combed and ring-spun/45% polyester, 40 single, 4.5 ounce mini waffle thermal fabric. Sideseamed. Slim fit. 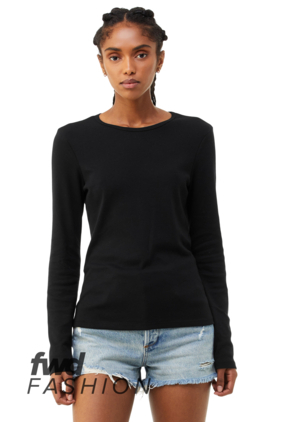 Crew neck and long sleeves with cuffs.